Leading partner, International Private Wealth practice. Widely recognised in Spain and abroad as senior advisor of reference in the field of Private Clients and Family Businesses both domestic and cross-border. 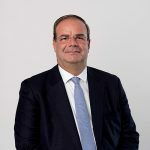 Leading advisor on Spanish and cross-border tax matters to top-tier Spanish ultra high net worth individuals, family groups, artists and sportspersons, family businesses, entrepreneurs and company directors in leading listed companies in Spain and abroad. Specialist leading advisor on Spanish tax and legal matters relating to legal arrangements and structures governed by foreign law (trusts, foundations and other). Leading advisor in the provision of tax and legal services on M&A, acquisition and disposals of business interests both domestic and abroad. Senior advisor of reference in Spanish tax audits and voluntary disclosure procedures, as well as acting lawyer on tax cases before Spanish civil and criminal courts. Qualified tax advisor in the UK and Spain. Initial member of the Private Client Team of PricewaterhouseCoopers in Spain. Partner in charge of the International Private Wealth practice at Ernst & Young Abogados. Member of the experts’ panel to the UE Legal Affairs Committee (JURI) on cross-border succession matters. Speaker during technical sessions at the EU Parliament during the drafting process of the EU Succession Regulation. Consistently selected as leading top-tier advisor on Private Wealth matters by the most prestigious independent specialist editorials in the business, including Chambers, Euromoney, Who’s Who Legal, Citywealth, Legal Week and others. Leading speaker in specialist conferences, forums and seminars on Private Wealth, Family Businesses and Wealth Planning in Spain and abroad (UK, USA, Canada, Brussels, Switzerland, etc.). Recurring senior speaker at international STEP events and senior specialist events including IIR, Legal Week International Private Client and the American Bar Association. Judge and member of the Panel of Experts of the STEP Private Client Awards. Member of the Steering Committee of the International Wealth Advisors Forum.